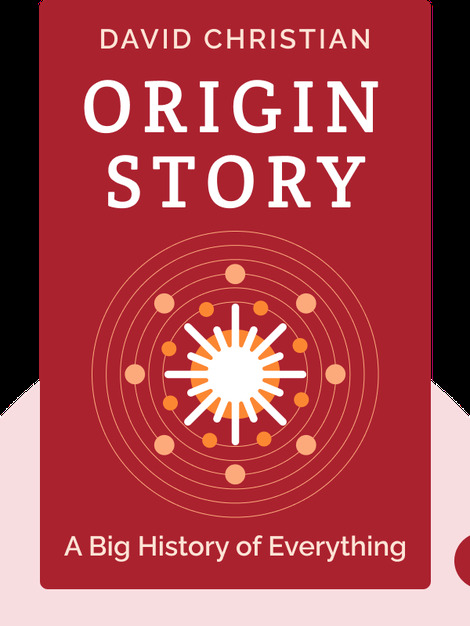 Origin Story (2018) tells the story of our universe, from the Big Bang to the present day. It traces how the right conditions have allowed the development of forms, organisms and ultimately societies of incredible complexity. From the emergence of single-celled organisms to the development of agriculture, it tells the epic story of our origins. 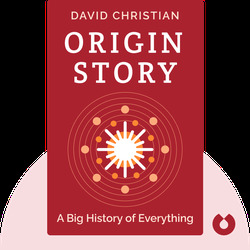 David Christian is a professor of history at Macquarie University, Australia, and cocreator of the university’s Big History School. He also cofounded the Big History Project with Bill Gates, which provides schools with resources to teach the history of the universe. His 2011 TED Talk, The history of our world in 18 minutes, has been viewed more than eight million times.